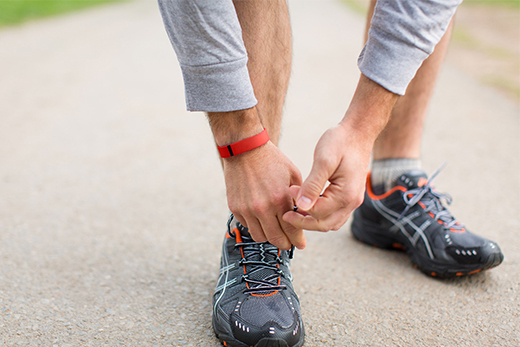 Move More Challenge participants will use a Fitbit device to track daily steps and calories, set goals and connect with others. Emory’s Faculty Staff Assistance Program (FSAP) is screening webinars starting the week of Aug. 24 to prepare participants for the Move More Challenge, an eight-week physical activity program utilizing Fitbit trackers. The Move More Challenge is Emory’s first community-wide employee wellness event. Participants will use a Fitbit device to track daily steps and calories, set goals and connect with others. Department teams will be formed and compete against other Emory teams. Registration closes Monday, Sept. 14, and the eight-week challenge takes place Sept. 21 through Nov. 15. Emory is partially subsidizing the cost of the Fitbit device for employees and also providing special "family and friends" pricing for additional devices. The 30-minute webinars are for those who have already registered for the Move More Challenge and who, by signing up, have committed to keep track of their steps and "move more." “This brief webinar will discuss helpful steps you can take to get yourself ready to start the challenge on Sept. 21,” according to Curtis Williams, FSAP wellness specialist. Register for a webinar scheduled for Aug. 27 and 31, or Sept. 2, 8, 10 and 16. Each is from 12 to 12:30 p.m. Adobe Flash is required. Williams says the webinar will show participants how to set up their Fitbit device, install the Fitbit software and monitor personal progress. The webinar will also provide tips and suggestions to complete the challenge successfully.